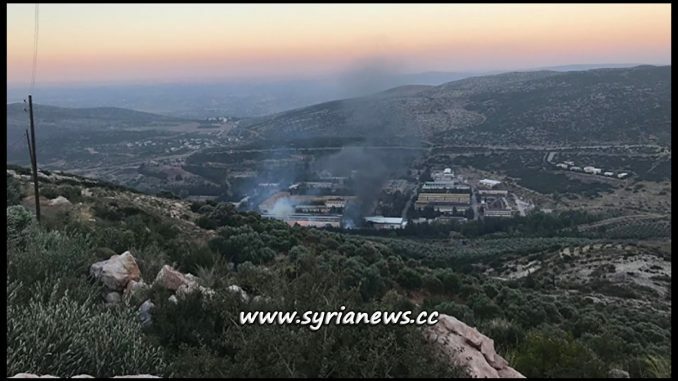 Israeli US-made fighter jets targeted a Syrian military post near a research center in Masyaf, Hama, central of Syria, evening local time, causing material damage in the place. The Israeli jets fired its missiles from over Lebanese Hermil village. The bombing that was carried out at 19:17 Syria local time was an unusual as Israel have continuously bombed sites within Syria in the dense of the nights to assist ISIS and other branches of the FSAthroughout the Syrian crisis.